Learn how to DJ underground Techno and House to a professional standard on our Underground DJ course. If you make the grade after assessment, you will be invited to play at our night, which sees us in top venues including the Gallery at The Exchange nightclub in Downtown LA. See footage in the video below. We are proud to say that every student so far has made the grade! All profits from our club night, which you help raise go to the LA Works charity. If you’re serious about House and Techno, and want to learn in groups of no more than four from a DJ plugged in to LA’s underground music scene, this fully comprehensive Underground DJ course for you. Our generously equipped DJ lab has every piece of industry standard equipment you’d see in respectable venues, including Pioneer Nexus decks with Rekordbox, Native Instruments Traktor with S8 controllers, Serato, and there’s even Technics 1200 vinyl decks for you to get to grips with. 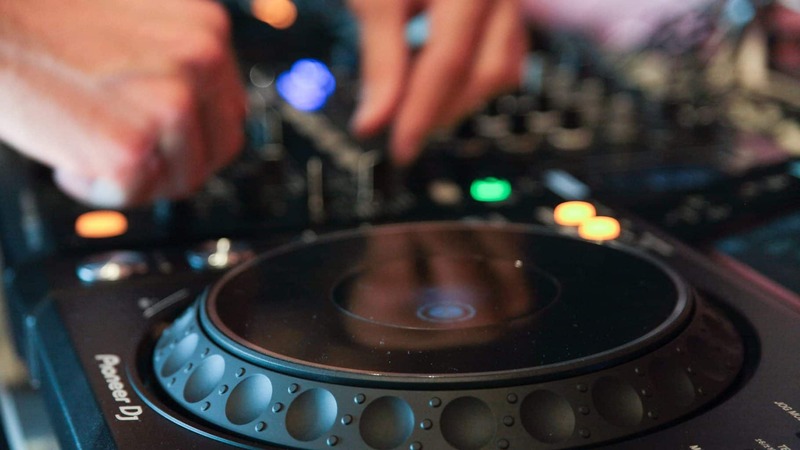 Learning how to DJ should be FUN – not frustrating! This course is an EDM-free zone, and we have a separate EDM DJ course for fans of more commercial electronic music. Before we were fortunate enough to have the demand to run genre-specific DJ courses, our generic courses often resulted in instructors who could never be suitable for all the learners’ music tastes; you had to be lucky to get the right instructor. But now those issues are in the past, and we are thrilled to now be able to offer a fully comprehensive Underground DJ course where everyone is on the same page! Please note that our club night is not always scheduled straight after your course, so if you’re coming to LA from out of town, please bear this in mind. If you can’t make our club night but wish to be in the lineup on a future date, we’ll make it happen. The course was really great. The teachers were really helpful and knowledgable. Getting to practice within the class definitely helps, and the constructive feedback is so valuable. I really enjoyed this course and look forward to possibly taking a production course. I had a small size class so I get a lot of hands-on experience. Also, my instructor is very experienced and knowledgable and he was able to teach us a lot of tips for getting into the industry. The fact that you are grouped with people interested in the same kind of music is great. After taking this class I feel completely ready to go from being a bedroom DJ to playing out in front of large crowds. Not only was the class very enjoyable but it also was very informative and comprehensive. Garnish is no nonsense and straight to the point. Top notch education! Josh is very good at making his students feel comfortable. He teaches in a way that is easy to understand and also makes his lessons very fun. My overall experience in this class was great. I feel very lucky to have gotten him as my mentor. I've learned so much more with him than I could have learned on my own, and I am extremely satisfied with the outcome of this one week course. Thank you! It's a great program, you get to learn a lot within the days. The instructor was very patient and made the whole process of learning very easy for us. Glad i signed up.